Digital Waiver & Releases Made Easy! 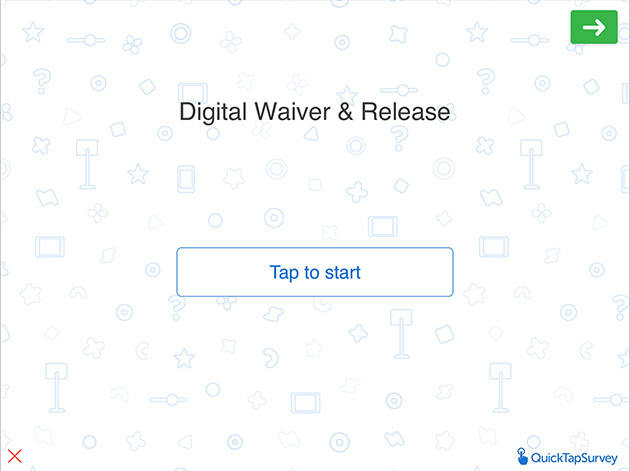 Start collecting digital waiver and release agreements online in minutes with QuickTapSurvey's offline data collection application! Our app makes it easy for your guests and clients to fill out waivers and releases on an Android tablet or iPad. 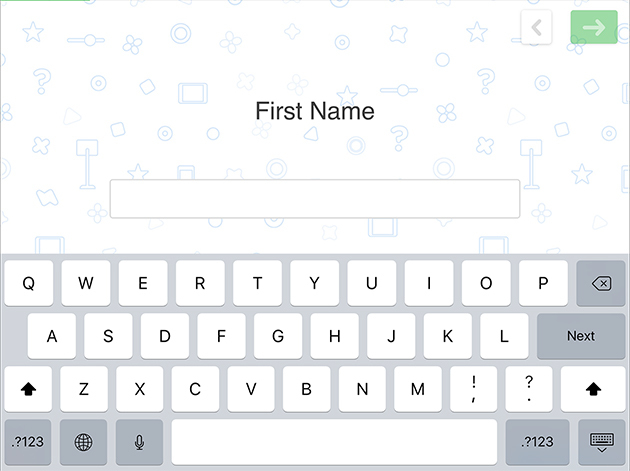 Use our digital signature question type to capture signatures on waivers and releases anywhere, even without an internet connection. 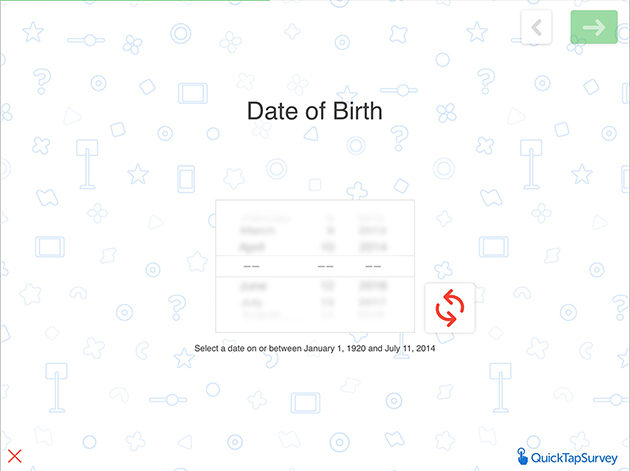 Securely sync and store your signed online waiver forms and releases, and download them in multiple data formats. 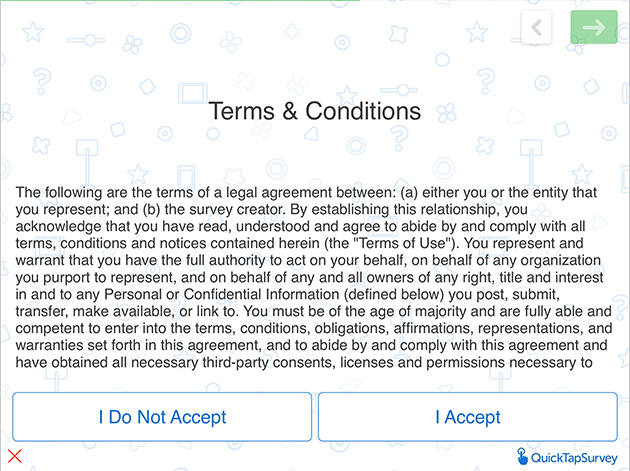 Our online waiver form and release form template example will allow your visitors and clients to read and sign anywhere, even in the comfort of their own homes and offices. 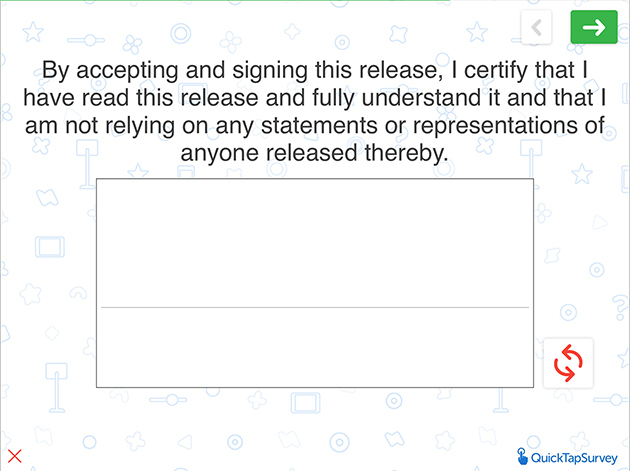 Easy and Fast to Set Up: Build your own waiver or release starting from our template, and have it ready to use in minutes. 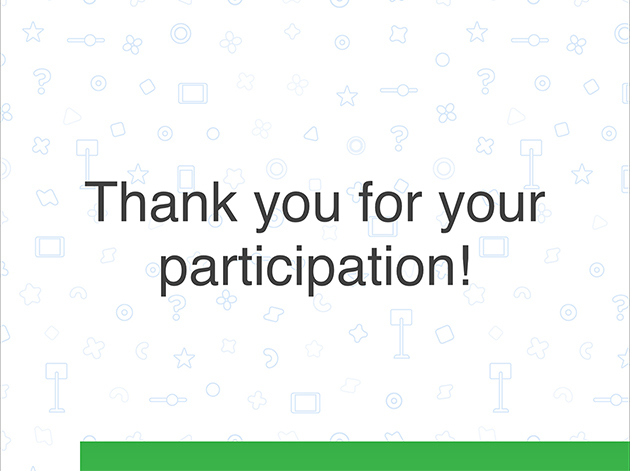 Save Time and Money: No more collecting paper waivers and releases. It's time to go fully digital and save time and money for yourself and your clients. More Accuracy: Gather 100% legible data from your clients digitally. Secure Storage: Your data will be stored safely online and is easily downloadable in a variety of useful formats. Save Paper and Save Room: No more storing boxes of waivers and releases in your office space. Have all your collected data safely available online for data and analysis at any time. 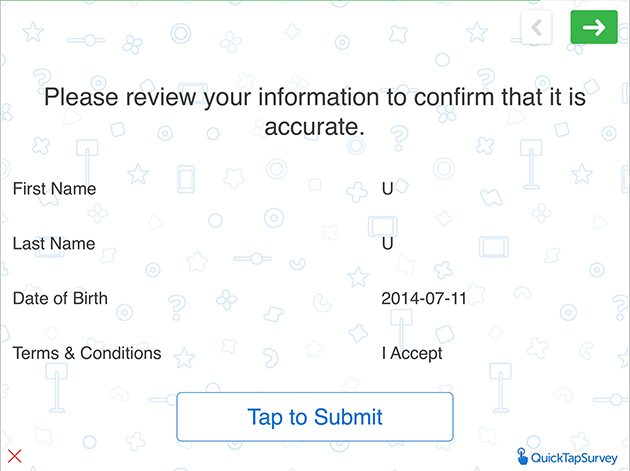 It's time to leave paper waivers and releases behind with our innovative data form application!